It Came out in 1999. This movie is set in the Universal Century Gundam saga. It was made on the occasion of the 20th anniversary of Mobile Suit Gundam , and starring almost entirely by Canadian actors (in fact I managed to get it just by buying it in Canada). 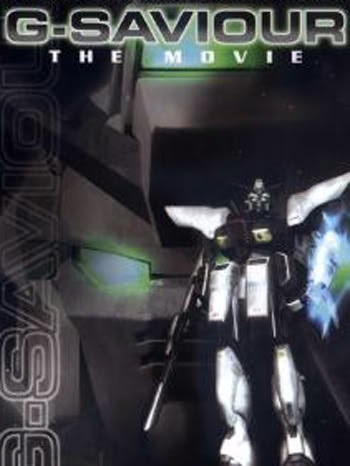 The special feature of this film is that all the locations in space, and the Mobile Suits, were made in CGI. The film was disowned by Yoshiyuri Tomino (so this explain why the word 'Gundam' is never uttered throughout the whole movie), but... this is the last story in which there is a sort of chronological development of the famous saga. It is, of course, an experimental product, and this happen to have its strengths and weaknesses. The technical level is truly remarkable for those years, but the plot is too flat and devoid of backstory ... but, in details, what's it talk about? The Context: We are in 0218UC and the Federation is collapsing after the failure of the last attempt to regain control of the orbiting station (called Sides). Food resources are scarce, so it is inevitable that politically Earth and Sides started to divide themselves in two factions. The CONSENT (Congress of Settlement Nations) includes Side 2 , 3, 5 , 6, 7 and Earth. The Settlement Freedom League instead brings together the Side 1, 4 and the Moon. In the midst of all this stay the Side 8, otherwise known as Gaea, neutral, and in possession of an agricultural technology breakthrough that could solve all the problems of starvation. Around this context there is also a secret society, the Illuminati, the purpose of which is to preserve this balance between the parties, and enjoy the benefits. The movie is set in the year 0223 UC ... and what is written above is hardly to find in the plot. It tells to the watchers the story of Mark Curran, a former pilot of Mobile Suit, now on the road to political success in the CONSENT , thanks to his wife (Mimi Devere), really skillful in politics. For reasons difficult to explain Mark get involved in the escape of some rebels, who have stolen a sample of the new agricultural technology previously stolen to Gaea, and to bring it back on Gaea, so to spread it freely all over all Sides in space, so to defeat starvation, and bring peace from al colonies. Obviously, the path of Mark appear immediately almost covered by insurmountable obstacles prepared properly by the Illuminati. The 'grand finale' is obviously a big space battle outside the Side 8, between Mobile Suit and ... I don't want to reveal more. So what ... It's nice to watch, but the plot suffer seriously for big cuts in the context so to make the story to much flat, and difficult to understand without being aware of what is hidden behind it. The film's official website is here, have a look to it. I'm sorry to say that the DVD is almost impossible to find.